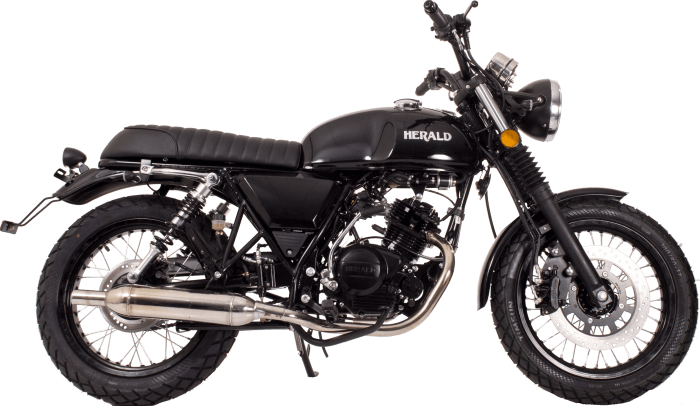 Herald Motor Co. is a British motorcycle manufacturer and importer based in Cambridgeshire. 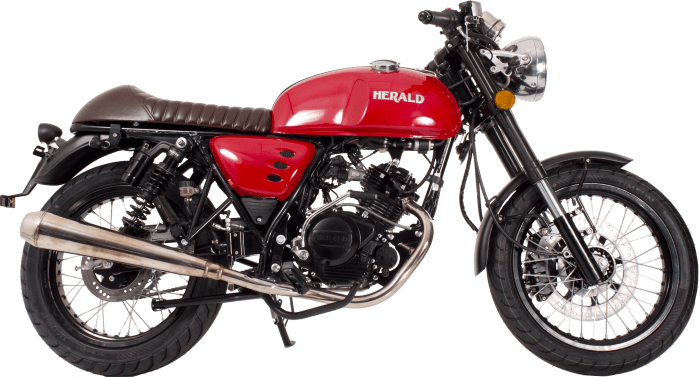 Over the past years Herald has grown into a cult motorcycle brand with big ambitions. 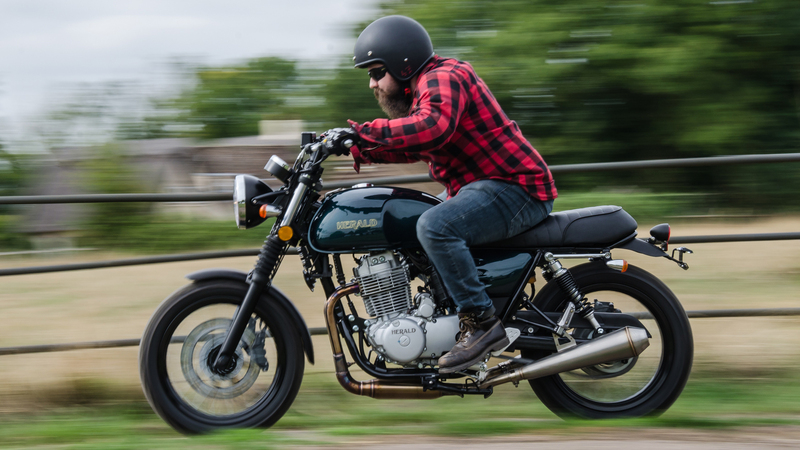 Our iconic style of 125cc, 250cc and 400cc motorbikes have seen a growing number of riders converting to our head turning, easily-affordable range. 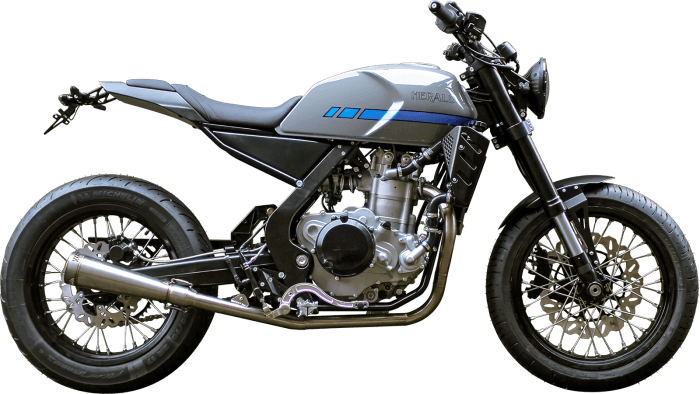 First and foremost we believe motorbike riding should be about fun, our aim has always been to offer a range of bikes that put a smile on the rider’s face and not a huge hole in their pockets. 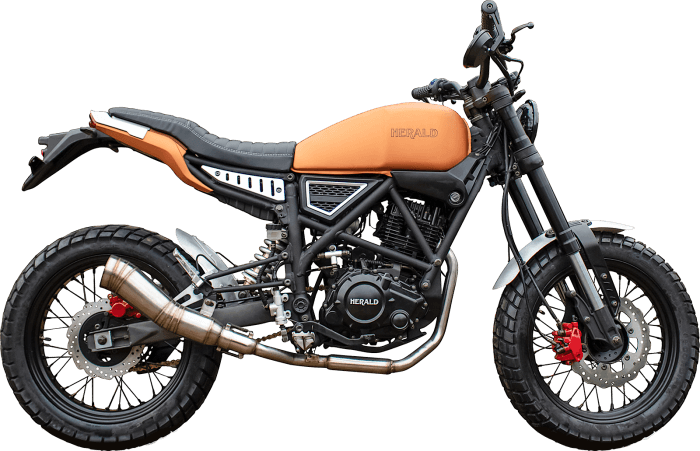 We are big fans of the custom motorcycle scene and draw inspiration from a host of different motorbike styles and past eras to offer a range of bikes that stand out from the crowd. 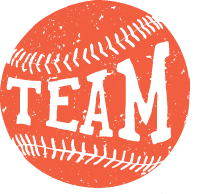 As a brand we emphasise the importance of staying true to your passions and breaking away from the mundane. When starting out we carefully selected three key words that we wanted everything we did to reflect; integrity, attitude and authenticity, today these form our brand ethos and we continue to live by those three simple words. Herald Motor Co. entered the motorbike sector over a decade ago working with partners to import classically-styled motorbikes. We go over each bike from top to bottom and our team of dedicated mechanics test ride each one. Our passion for motorbikes meant the goal was always to design and manufacture in Britain. 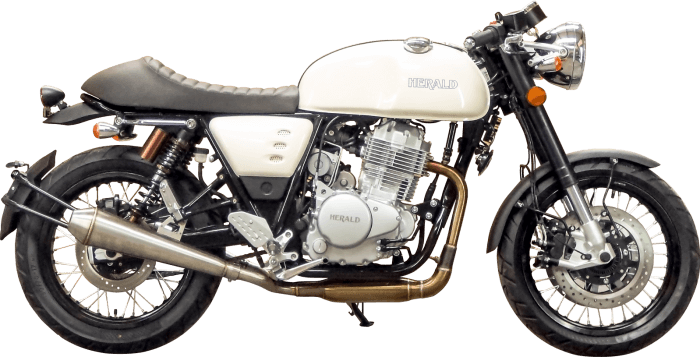 As a division of an award-winning engineering company, Herald can design and produce parts in-house and have the facilities to develop and manufacture our own British-built motorcycles. 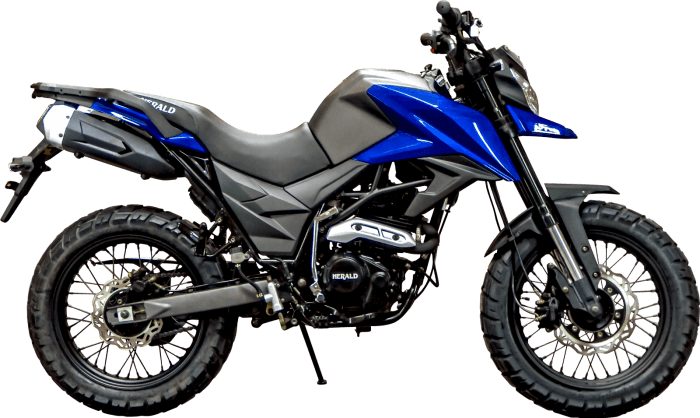 The Brute 500 is the first bike to be designed and built at our headquarters. Having completed the prototype, the next stage is final testing and development ready for sales in late 2019. We are incredibly proud of our motorbikes, however we are not a company that likes to rest on its laurels. We’ll continue to push and challenge ourselves to bring you bikes that you’ll love. Our design and technical team are already busy in our workshops tinkering with new and exciting projects which we will announce throughout the year. All of our bikes are sold through a network of high quality retailers who want to provide Herald customers with a great service. Servicing for our range can be carried out by any competent motorcycle service centre. Warranty work must be undertaken through our dealer network and modifications through anyone with a passion to make you Herald. 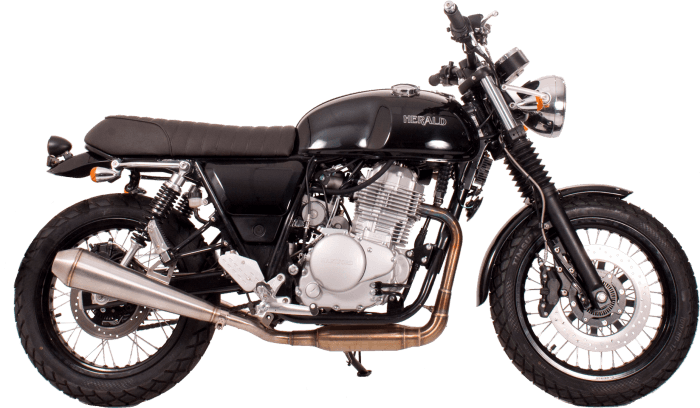 We now offer 24 months RAC Breakdown Cover with all newly registered Herald motorcycles! We are proud to have Bikesure as a Herald approved insurance provider. As a specialist motorbike broker; Bikesure compares motorcycle insurance from dozens of providers to find you the very best deal possible, whatever your individual needs. For best Bikesure rates telephone 0800 089 8070 and quote reference G3365.